There usually is more than one. Maybe one of the perfect copies of a book is the one inscribed and presented to the author’s mother. Or maybe it’s the dedication copy. That would be cool. If it was the editor’s copy, that would certainly elevate it. There are other perfect copies. 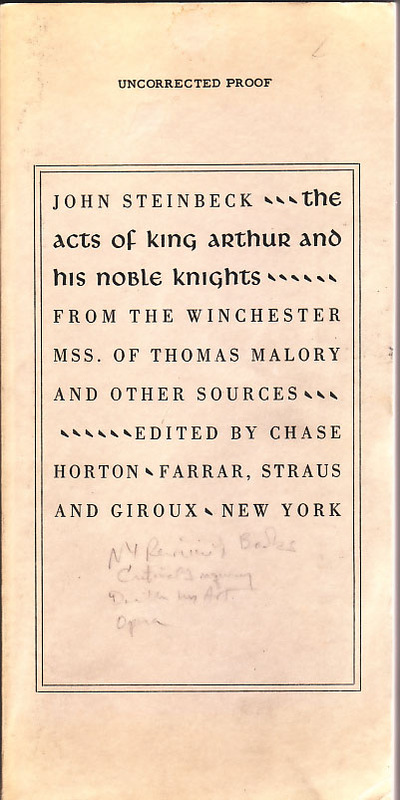 Let’s explore one possibility for The Acts of King Arthur and His Noble Knights by John Steinbeck published by Farrar, Straus & Giroux in 1976. The book was based on the Winchester manuscripts of Thomas Malory and other sources. It was edited by Chase Horton. In addition to Steinbeck’s introduction, the book includes Merlin, The Knight With the Two Swords, The Wedding of King Arthur, The Death of Merlin, Morgan le Fay, Gawain, Ewain, and Marhalt, and The Noble Tale of Sir Lancelot of the Lake. First let’s look into the history of the book. 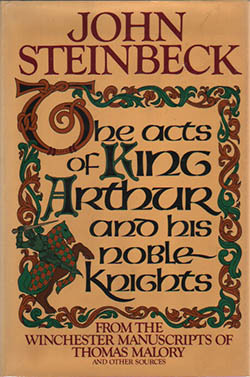 Steinbeck’s interest in King Arthur goes back to his extreme youth when an aunt gave him a copy of the Boy’s King Arthur. That would lead him to his eventual career as a writer. In fact, this life-long affair with the written word led Steinbeck to continued study of the Knights of the Round Table to the point that he tried writing his own “translation” of Arthur into modern English. Steinbeck was essentially a moralist who constantly used the battle between good and evil in his works. So who reviewed the book for The New York Times? None other than novelist and English scholar John Gardner. Gardner, author of Grendel and other literary novels, had already written The Life and Times of Chaucer, The Construction of the Wakefield Cycle, The Complete Works of the Gawain Poet, and The Alliterative Morte Arthure and Other Middle English Poems. Who better to review the book? His copy of Steinbeck’s Arthur would be one of a very few perfect copies to own. 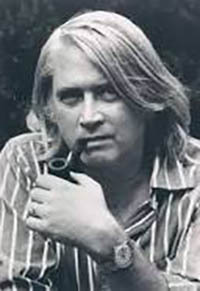 Gardner had received two copies of the advance copy of the book, an uncorrected proof, one from the publisher which asked for a blurb, and then another, later, which came from The Times asking for a review. Either one falls into the “perfect copy” category.